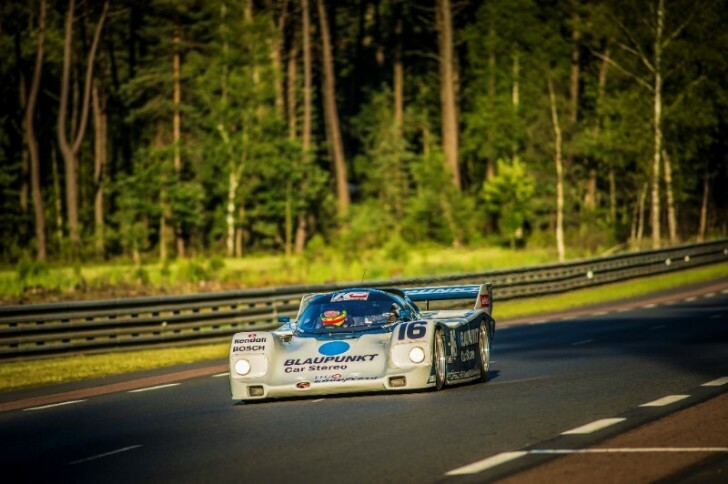 Zak Brown won the Group C race in the IMSA GTP class at the Le Mans Classic event last weekend (9 July), racing the 1986 IMSA Porsche 962 and finishing seventh overall in a field of 35 cars. United Autosports entered the Porsche 962 into the prestigious historic event – the same Porsche 962 that won on its debut at the Six Hours of Riverside in 1986 for US team, Dyson Racing. The car scored a further seven podiums that year. This helped Price Cobb to second place in the 1986 Camel GTP Championship. On Friday morning, Zak Brown clinched pole for the C1b class and cemented his pole position later that evening, by improving on his time set earlier that day. Zak also scored the fastest lap of the race on lap eight with a time of 4:07:656. The United Autosports historics team make their way to Silverstone next for the Silverstone Classic (30-31 July) with the March 701 and McLaren MP4-16A.